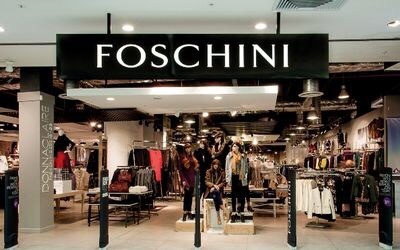 CLOTHING and apparel retailer The Foschini Group (TFG) is looking for retail space to bring its recently acquired UK chains Phase Eight and Whistles to its home market. Mr Thunström said that the retailer thought it had a location, in Johannesburg’s Hyde Park mall, but had found that it was better suited for its G-Star Raw clothing store. There was “massive growth that we continue to see in SA, and that really is because of the diversity of the different brands that we’ve got”, he said. The group, which owns brands such as Markham, Mat & May, Charles & Keith and Donna Claire, acquired Phase Eight for £140m last year to spring-board its UK portfolio. Last week, TFG announced it had bought a 100% stake in high-end mass market retailer Whistles for an undisclosed amount. Kyle Rollinson, an analyst at Avior Capital Markets, said TFG’s expansion of Phase Eight into local markets would add value to its retail offering. “Foschini has an extremely good portfolio of brands and I think it’s more of a value add, rather than trying to counteract a weak offering. Their offering is strong,” Mr Rollinson said. TFG is no novice. Woolworths introduced its private label brand David Jones into its South African stores earlier this year, after it acquired the Australian-based women’s wear retailer in 2014 for R23.3bn. Mr Thunström said: “I don’t think from a strategy point of view anything has changed … there is an advantage in risk diversification in terms of being in different geographies, and it’s certainly been a rand hedge. Chito Siame, an equity analyst at Mergence Investment Managers, said: “I don’t think that would be their primary strategy with regards to recently acquired foreign brands. Phase Eight has 107 stores and 203 concessions throughout the UK and Ireland. It also has 15 stores and 113 concessions in 16 global markets. TFG shares gained 1.02% to close at R141.44 on Thursday.